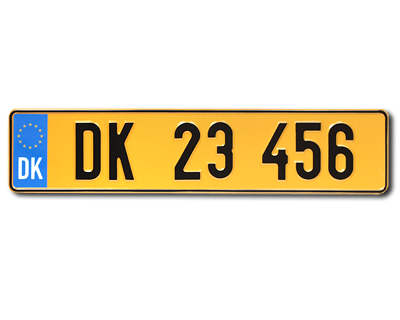 Danish MC plate! 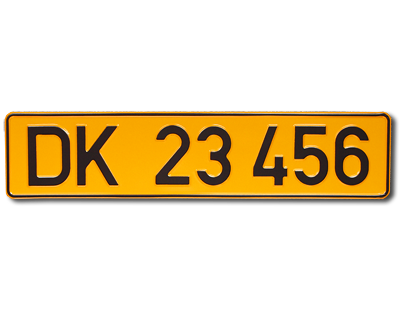 The license plate are made of yellow reflective aluminum with embossed letterings. Standardsize 195 x 155 mm. Max 4 characters/row. Also available as a frameholder. 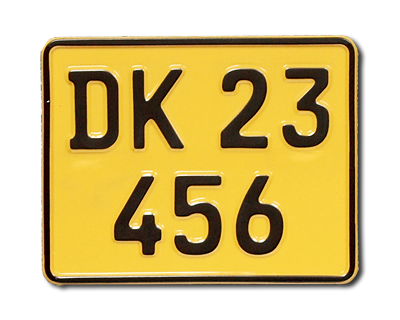 Order your danish MC plateholder frame here.